What is SPECIFIC Canine Everyday Adult Small Breed dry food? 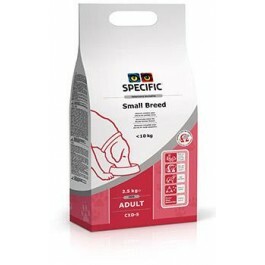 SPECIFIC Adult Small Breed is a complete and balanced dry food for adult dogs under 10kg. This food is suitable for adult dogs under 10kg. What are the benefits of using SPECIFIC Canine Everyday Adult Small Breed dry food? 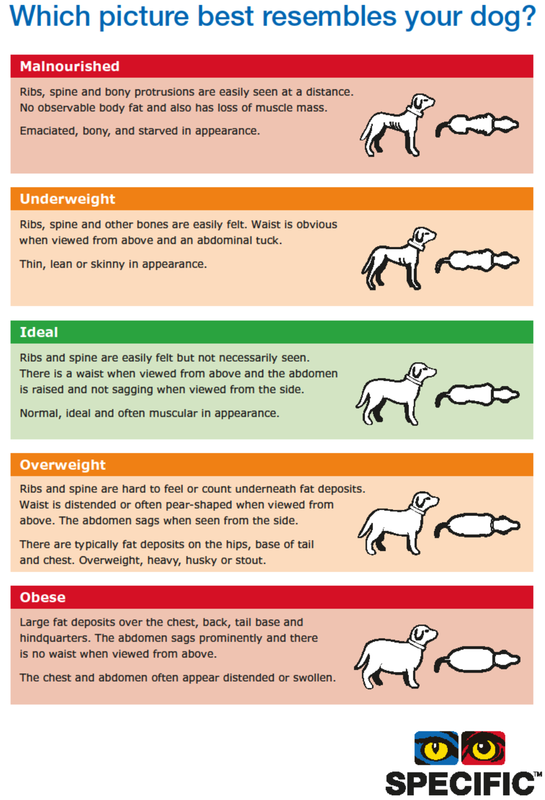 What is in SPECIFIC Canine Everyday Adult Small Breed dry food? Crude Protein 22.5g, Crude Fat 11g, Carbohydrate 51.3g, Crude Fibre 1.7g, Calcium 0.68g, Phosphorus 0.64g, Sodium 0.18g, Omega-3 0.63g, EPA 0.15g, DHA 0.2g, Water 8.5g, Ratio n-3:n-6 1:3. 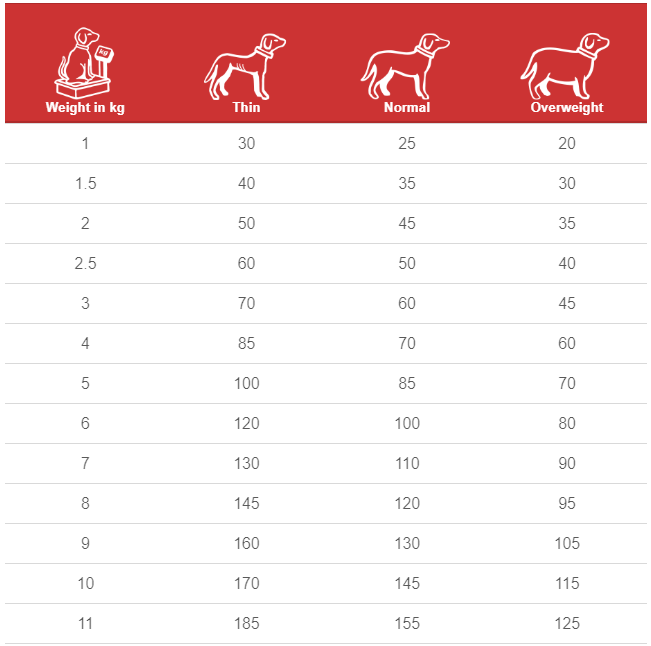 How much SPECIFIC Canine Everyday Adult Small Breed dry food should I feed?